Upgrading your home with a flooring replacement project is always a sensible decision. It’s an opportunity to redefine your rooms and set a new tone for your home’s overall ambience. When you are looking to revitalize your old flooring, take your customization options further with vinyl flooring in Lexington Park, MD. Our flooring showroom proudly sells a wealth of flooring materials that allow you give your favorite rooms a new appearance. Whether you are looking to update a single room or your entire home, count on our selection of resilient flooring to realize your design plans. Vinyl is a versatile material that can be easily changed to meet your remodeling plans. It is also known as “luxury vinyl” for good reason. Vinyl floors are made of a strong, composite material that gives it a great amount of durability and stain resistance. As such, this flooring option easily resists dirt, dust, and liquids. Spills and stains on vinyl can be easily cleaned up through the use of a damp mop, or a combination of a liquid cleaner and wiping rag. The strength of vinyl makes this flooring option a great choice for busy households with pets or children. Thanks to its composite layering, this material is able to absorb everyday foot traffic with ease. Visitors will also appreciate its comfortable and distinct feeling underfoot. Furthermore, vinyl flooring retains heat well, which allows for warm walks during those bright and cool winter days. Every day of the year, vinyl is ready to upgrade the appearance of your home. Ready to give your home a clean and natural look? Vinyl plank flooring makes it easier to enjoy the majesty of wood without breaking your budget. Thanks to modern manufacturing and printing methods, vinyl successfully mimics the appearance of natural hardwood. From the distinct finishes to unique grain patterns, vinyl planks are a great way to add a little refined and rustic appeal to your common areas. 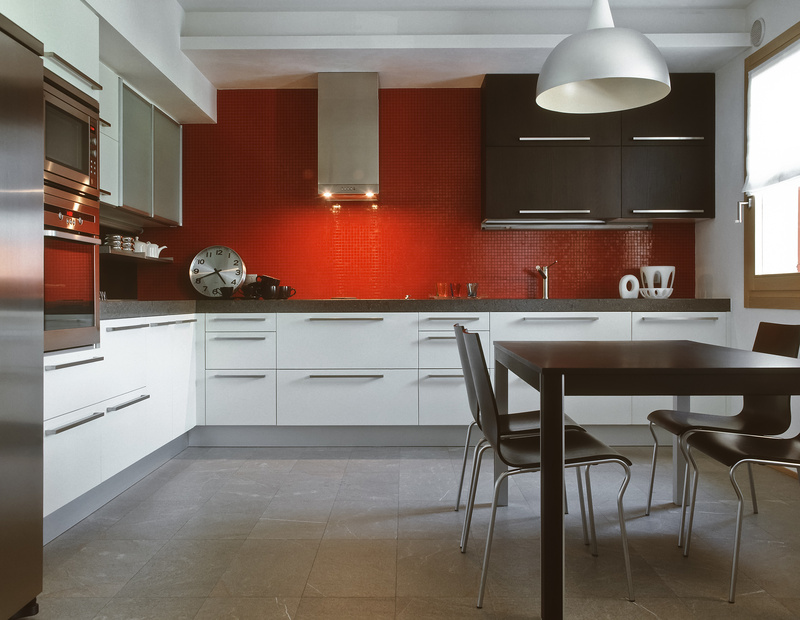 Its waterproof construction makes vinyl a great option for kitchens and bathrooms as well. Vinyl wood plank is available in many different species and finishes. They are even cut to resemble hardwood for that truly authentic appearance. Browse our vast selection and give your home a new look. Our sales representatives are on-hand to get your project on the right track. Express your creativity with confidence. Our showroom also sells luxury vinyl tile in many different styles, colors, shapes, and designs. Mix and match to create your own unique patterns, and show them off proudly in your favorite rooms. Much like our plank flooring selection, vinyl floor tiles are available in the appearance of natural materials, including stone and ceramic. As a result, you are free to make your next favorite design while keeping your remodeling project well within budget. You took the time to plan your design and find the perfect products to match. You deserve to fully realize your vision. Our showroom offers professional vinyl floor installation so you attain beautiful and long-lasting results. We carefully examine your project site and place your new flooring so it fits seamlessly with your floor plan. Thanks to the extensive training and experience of our installation technicians, your investment will truly redefine your interior design. Contact our flooring showroom to learn about our selection of vinyl flooring. We proudly serve property owners in the communities of Lexington Park, California, Beauvue, Saint Clements Bay, and Breton Bay.